I was quite surprised by the number of comments I received about yesterday’s post. So many fellow “geeks” out there! Jan went off to the nearby Tesco this morning whilst I attempted to get a second coat of paint onto yesterday’s effort in the cratch. There are a few brush marks in the paint on the top of the bow thruster locker which might settle. 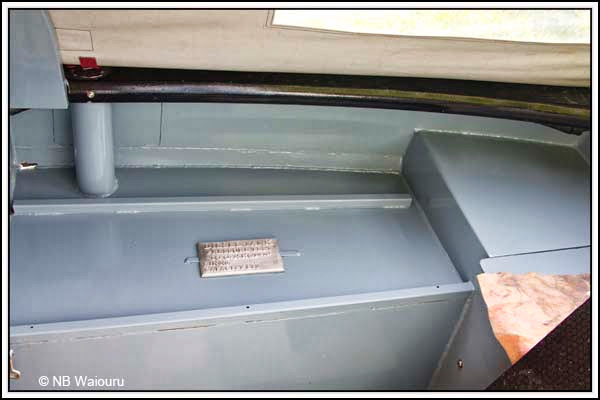 The remaining area will be concealed by the hexipanel that goes on top of the forward diesel tank. Yes…. the photo editing has removed the brush marks! On her return Jan was able to tell me about the pet snake she saw on the towpath. The male who owned it, had it poking out of his trousers, apparently it was spitting at the hedge. Now this is a length of towpath that receives a significant amount of local pedestrian traffic so you might ask why he didn’t move to one of the more isolated local areas to exercise his trouser snake. When he noticed Jan he remarked “Sorry love, didn’t see you coming!” I did ask Jan if she had replied along the lines of “I’ve seen a larger and more deadly snake!” Apparently not…. The canal was very busy with numerous boats going in either direction. The boater opposite was heard to tell another passing boater all the moorings here are 48 hour. 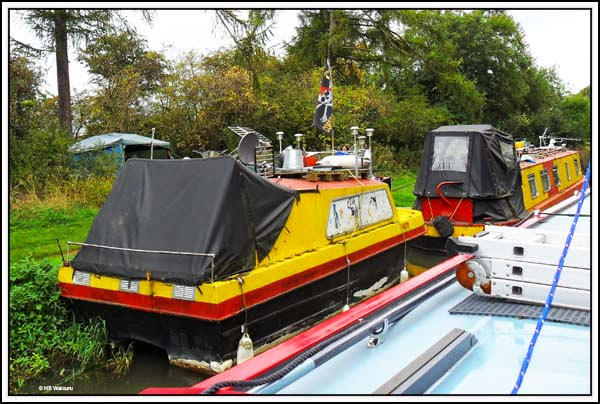 They are actually 24 hour on his side and he should know that as his boat is moored beside the CRT sign. But then he has already been on the mooring four days. We’ve been stationary for too long (4 days) and decided to move. Not very far! After stopping to fill up the tank at the nearby water point we headed towards Newbold on Avon. Along the way we passed these two boats. They were in exactly the same location (along with the tent) when we passed this way back in June. But they are both licenced and probably not causing any problems. We reached the arm leading to Rugby Wharf. This is the furthest north we’ve been on the Oxford with Waiouru. 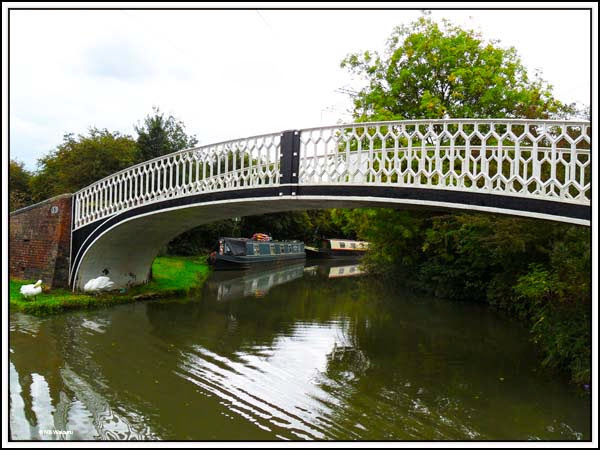 Back in June we winded here to go up the Grand Union, Leicester Branch. 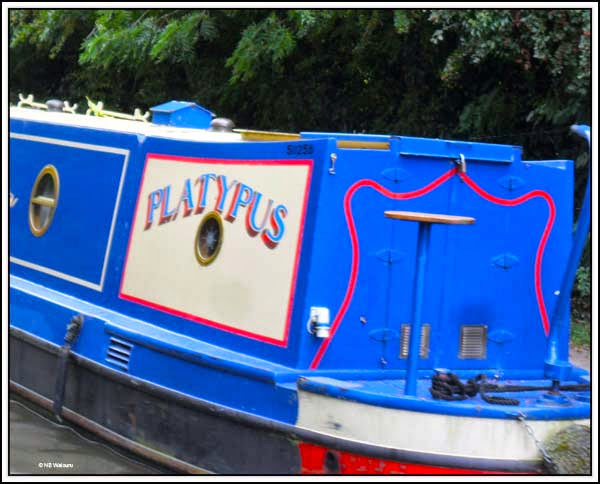 Further along we passed nb Platypus, an Australian connection? 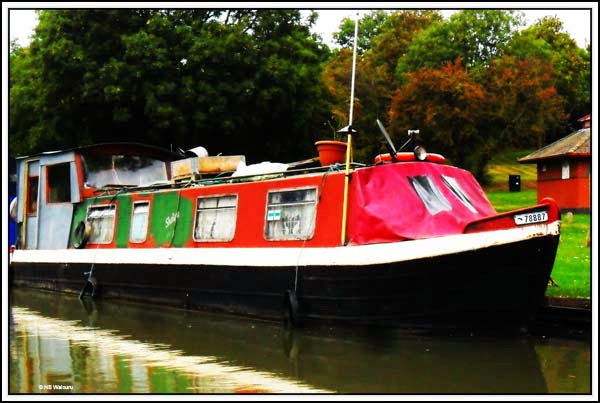 Now moored on the 14 day moorings at Newbold. The plan is to stay until at least Monday and have a Sunday roast lunch at either The Boat Inn or the Barley Mow. Both are handily located beside the canal. We’re not sure if one of them serves better food. Any recommendations from former customers?